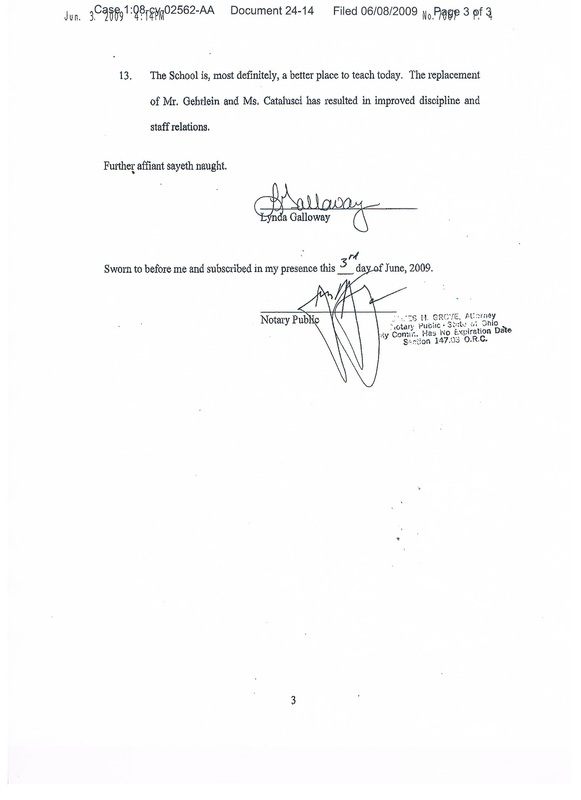 Sign an Affidavit - CHARTER SCHOOL WATCHDOG http://www.charterschoolwatchdog. 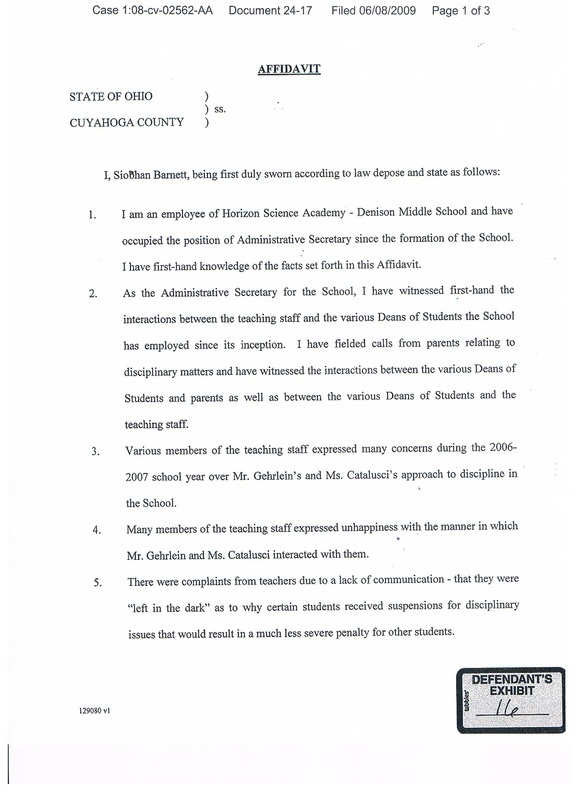 We obtained some affidavits from the legal files of two former Horizon Dension Administrators who sued Horizon for discrimination. 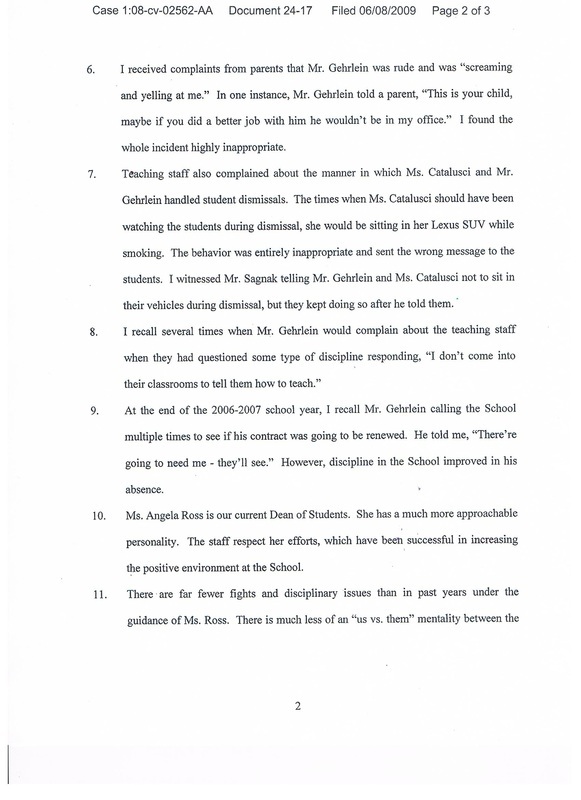 The affidavits bash the two former administrators, stating how much Catalusci and Gehrlein were disliked and disrespected by parents, students, and staff (according to the affiants). 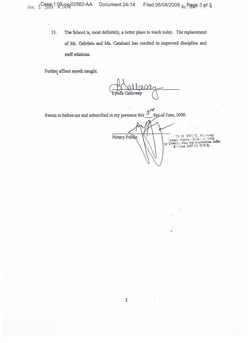 At face value, one might assume that the administrators being bashed were just a couple of bad eggs that needed to removed from the carton, but then -- look a little closer at the authors of the affidavits. Barnett and Hilt were prominately featured in previous blogs on our site that included their numerous nasty emails targeting staff members, administrators, parents, and students; (read previous blogs, American Teachers Behaving Badly, Sequel to American Teachers, and Part 3 of the Trilogy ). 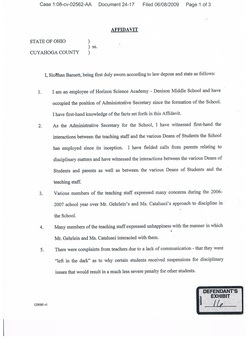 And if you remember in the emails, they were bashing the then current administrators (Ross and Frame) that were hired after the ones that they were criticizing in their affidavits (Gehrlein and Cataluci). It would seem that they simply did not like Sagnak's picks -- but pretended to when it best benefited them -- like in the affidavits (and contract renewal time). Hilt and Barnett slammed both Frame and Ross in their emails, but then wrote how much better the new Dean of Students' were after Sagnak canned Catalusci and Gehrlein (well, technically -- he simply did not renew their contracts after letting them wait for 2 months before telling them). 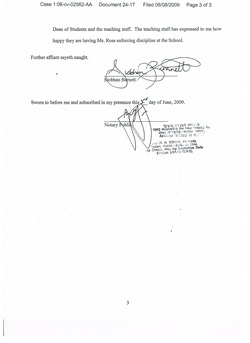 It's interesting how Barnett and Hilt's writing styles changed when a lawyer (Grove) was present and notorizing their statements -- they just don't have the same flair that their emails did. 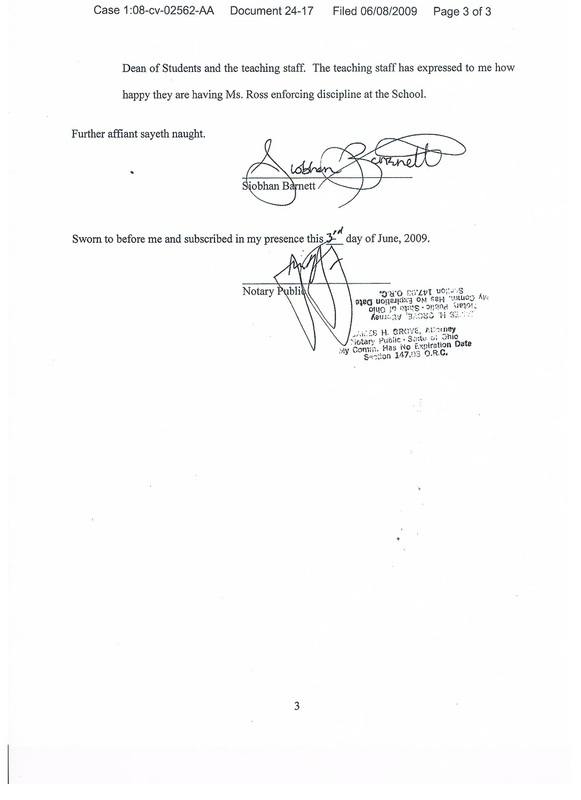 Now let's examine the timing of the affidavits, June 3, 2009, which would be right around the time that Barnett, Hilt, and Galloway's contracts were up for renewal. Coincidence -- maybe? And Galloway wrote one too. 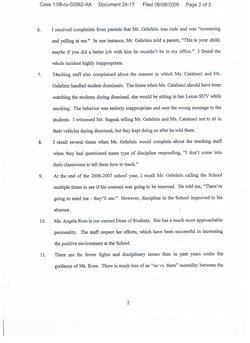 Now remember Galloway was the teacher who received a $2500.00 bonus (see the blog, That's quite a bonus, Ms. Galloway). We did find some information on the whole Galloway bonus issue in some Board minutes, which we will post in our next blog.